Who’s got a craving for starch? Missing the good ol’ meat and potatoes? No worries, we can help! Here’s a little something I learned while living the low carb lifestyle…almost anything can be transformed into your favorite foods from before. Potatoes…most of you are thinking that consistency would be impossible to achieve with cauliflower, but this seems to be a wonder vegetable. As long as you treat it right, it can be transformed into so many different textures. 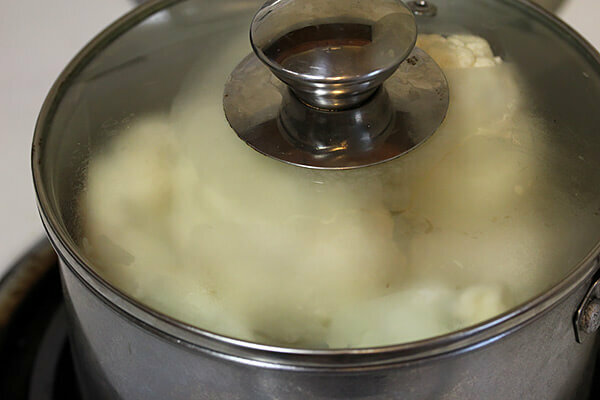 The trick here is to hand blend the cauliflower, so that it is still chunky and keeps a texture resembling mashed potatoes. You don’t want to use a blender, otherwise you will have a soggy and lumpy mess on your hands. It’s a MASH after all, not a puree. 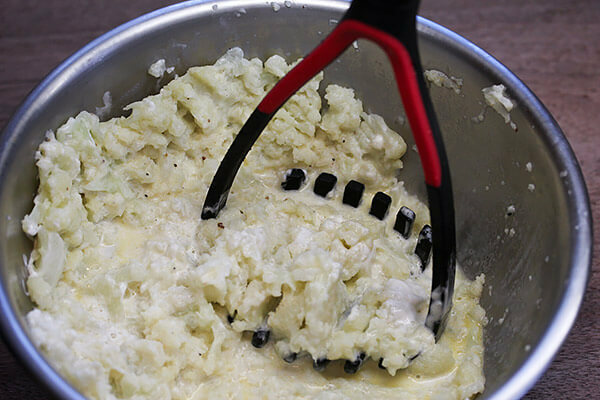 Yields servings 4 of Low Carb Mashed Potatoes. 1. Grab a pan and put about 1 cup of water in it. 2. Set to medium heat and bring water to a simmer. 3. 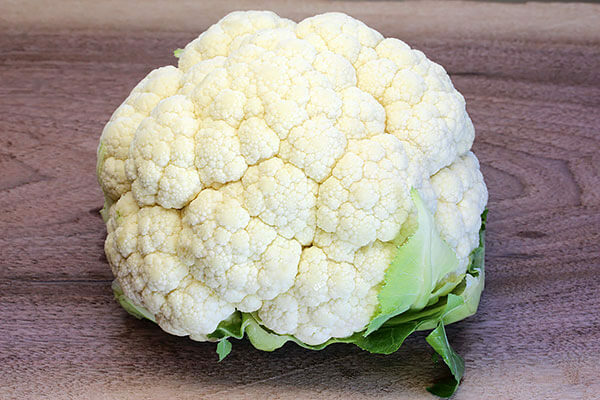 Separate the cauliflower into florets. Save the cores! 4. 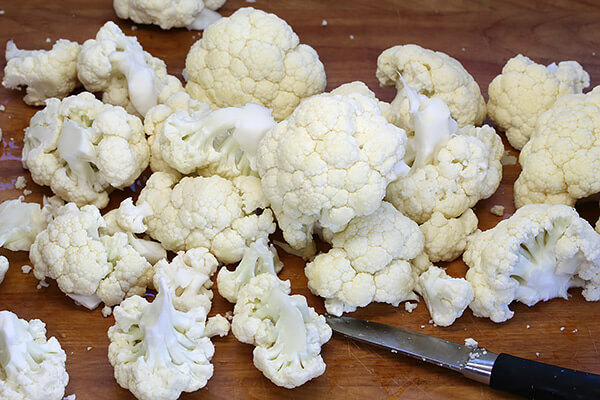 Chop the cauliflower cores into small pieces (dice it). 5. 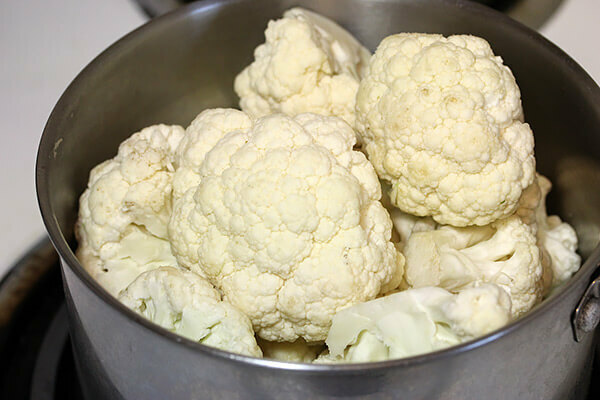 Add all the cauliflower to the pot, and cover. 6. 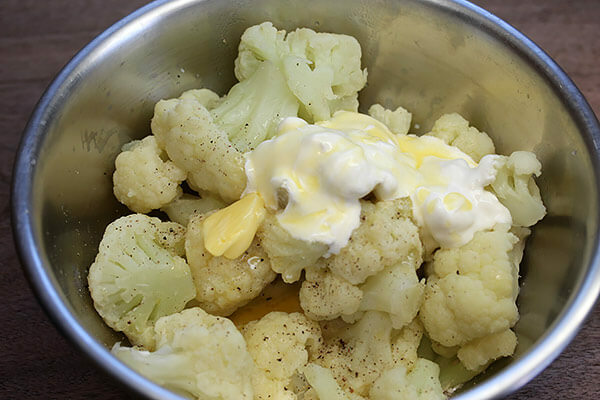 Cook for 12-15 minutes, until cauliflower is very tender. 7. Drain all water and add milk, butter, sour cream, salt and pepper. 8. 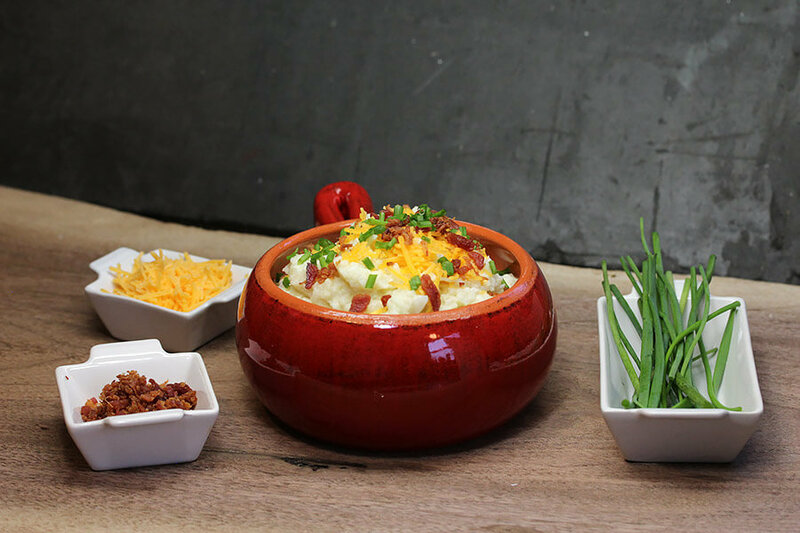 Grab your masher and go to town on these tasty, tender morsels. 9. Top with chives, cheese, or bacon. 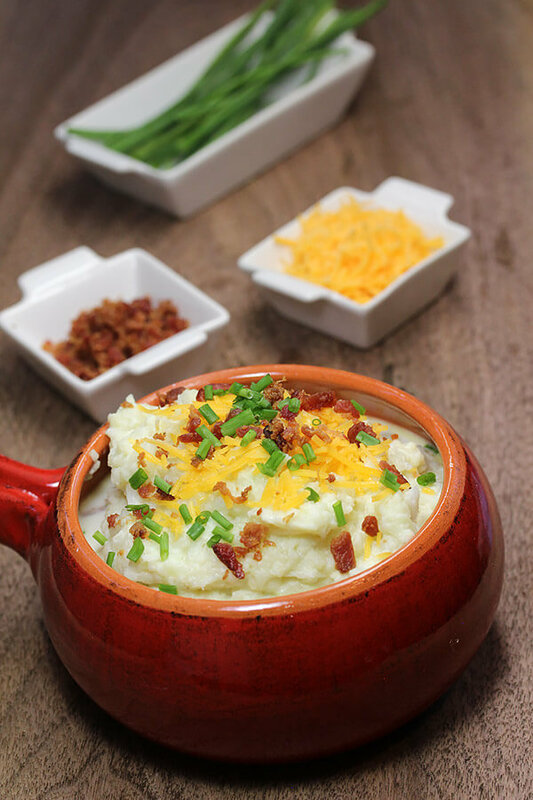 These low carb mashed potatoes are a fantastic side item for pretty much any meat dish you have in mind. They’re not loaded with carbs, have a lot of nutrition, and are extremely tasty. 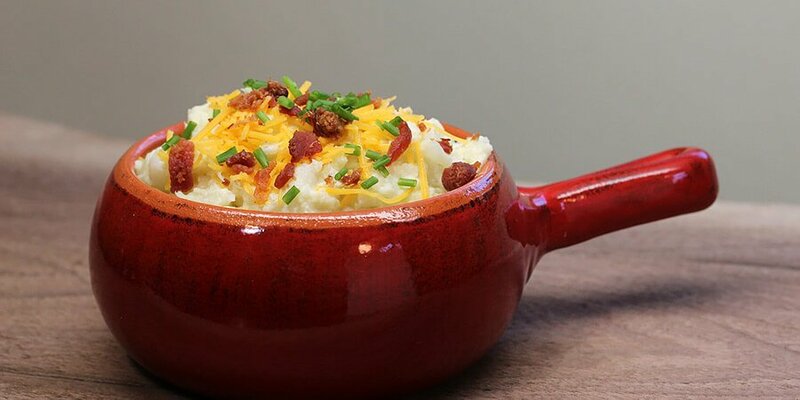 This makes a total of 4 servings of Low Carb “Mashed Potatoes”. Each serving comes out to be 95.75 Calories, 4.85g Fats, 7.1g Net Carbs, and 4.61g Protein. This makes a total of 4 servings of Low Carb "Mashed Potatoes". Each serving comes out to be 95.75 Calories, 4.85g Fats, 7.1g Net Carbs, and 4.61g Protein. Dice cauliflower cores and add all the cauliflower to the pot, covering it. Cook 12-15 minutes until cauliflower is very tender. Drain all water and add milk, butter, sour cream, salt, and pepper. Grab your masher and mash. Add optional toppings, serve, and enjoy.